Leicester City have issued a public statement to express their ‘unwavering support’ for club manager Claudio Ranieri. Following a 3-0 home defeat against Manchester United on Sunday, the Premier League holders remain just one point above the relegation zone with only 14 league games left to be played. 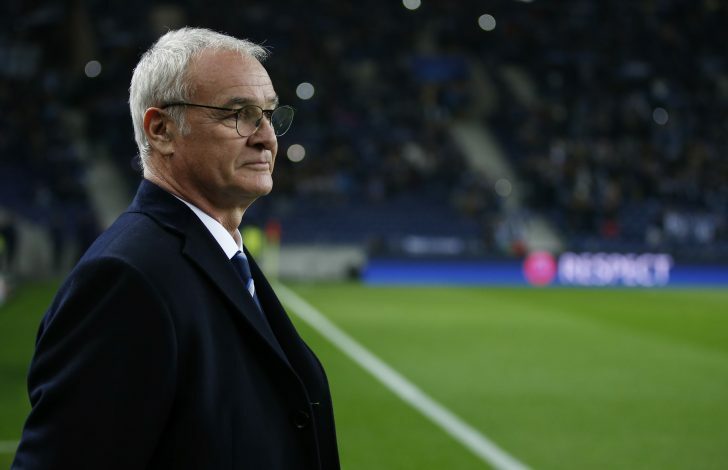 And while the bookies made Claudio Ranieri favourite to be the next Premier League manager to face the dismal sack, Leicester City have declared their vote of confidence towards the Italian coach, dismissing recent speculations of a potential exit. The statement read: “In light of recent speculation, Leicester City Football Club would like to make absolutely clear its unwavering support for its first-team manager Claudio Ranieri. “While there is a collective appreciation from everyone at the club that recent form needs to improve, the unprecedented success achieved in recent seasons has been based firmly on stability, togetherness and determination to overcome even the greatest of challenges. The reigning English Champions are on a run of four straight Premier League defeats and Leicester City keeper Kasper Schmeichel was unflinching to criticize his side’s performance against the Red Devils on Sunday. The Foxes face Derby County on Wednesday in a FA Cup fourth-round replay before a crunch encounter against fellow Premier League relegation battlers Swansea City later this weekend.